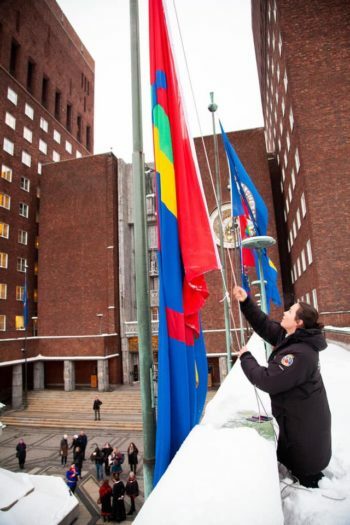 Sami flags were flying all over Norway on Tuesday as the country’s indigenous people celebrated their own national day. From Oslo’s City Hall to remote areas of Finnmark, more Sami elebrations were planned than ever before. The vast majority were, not surprisingly, taking place in the northern regions of Norway, where the majority of Sami live and work. There were seven official celebrations in Finnmark alone, where the city of Alta was also celebrating all week. Troms residents were marking the day in Tromsø, Harstad, Nordreisa and Kåfjørd, while fully 11 events were planned in Nordland, from Narvik and Bodø to Mosjøen and Kabelvåg. Oslo, Bergen and Trondheim had some major events planned, but also Oslo’s western suburb of Bærum was honouring the Sami people for the first time, with special services at the Østerås Church at 6pm followed by refreshments and entertainment. Bærum’s culture chief would also attend. The Sami nation itself extends over the northern regions of Norway, Sweden, Finland and Russia. Norway’s Sami population is the largest, at an estimated 55,000, compared to 20,000 in Sweden, 8,000 in Finland and 2,000 in Russia. Norway’s Sami Parliament is located in Karasjok in Finnmark. 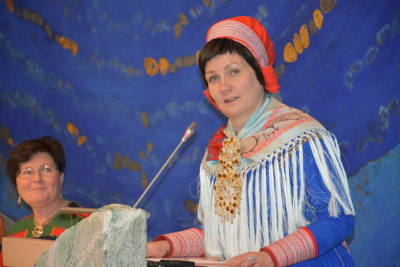 Its president, Aili Keskitalo, was congratulating all Sami on Wednesday but also worrying about ongoing harassment of Sami and other ethnic groups. Norway’s first-ever conviction last week of a Norwegian charged with making hateful online comments about Sami was widely seen as a step in the right direction, even though the defendant in his 50s has appealed. “I still wonder what the consequences (of harassment) can be for Sami youth and children,” Keskitalo told newspaper Dagsavisen. “Do they feel shame or guilt over being Sami?” Harassment is nothing new, she said, claiming that she grew up with it herself in Finnmark, where newspapers published offensive letters to the editor and comedy sketches featured Sami as clowns. “As a minority, such harassment can be felt more strongly,” Keskitalo said. She thinks last week’s conviction was important, and hopes Wednesday’s official and private celebrations around the country will help further knowledge of the Sami culture and heritage, and consciousness of Norway’s own indigenous people. “The day is a way for us to show that we’re here and who we are,” she told Dagsavisen. 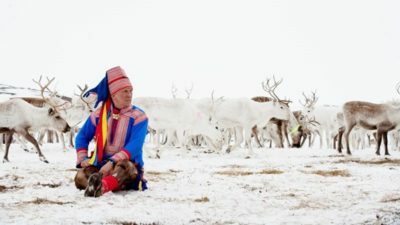 There are 10 official Sami languages spread over four countries, with three main Sami dialects spoken in Norway. The language is under constant pressure and was even banned at one point by Norwegian officials who later apologized for the discrimination. A state commission is in the process of investigating efforts over the years to force Sami to become Norwegian (called fornorskningspolitikk), along with other discrimination against the Sami, Kvenefolk and Norskfinner. Sami culture and especially Sami music and the distinctive form of singing called joik are more popular than ever, with a young Sami woman from Tana in Finnmark even winning Norway’s Stjernekamp (Battle of the Stars) last year. Ella Marie Hætta Isaksen will be performing in Oslo Wednesday night at the popular Rockefeller Music Hall along with the legenday Mari Boine. The concert has been sold out for weeks. 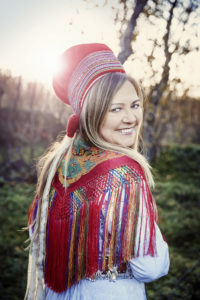 Boine attributes the popularity of Sami music to its “natural tones.” They’re part of the Sami’s national heritage, she told news bureau NTB, “a native voice that’s unpolished.” Boine was a pioneer in the art and is gratified to see so many young Sami winning acclaim now. “When those of us who’ve been at this for a while see the young performers, and the pride they have over being Sami, then we can allow ourselves to lean back and think ‘this is moving forward,'” Boine, who has performed several times at Oslo’s Opera House, told NTB. She was also taking part in Sami musical events this week at the city’s university Oslo Met.